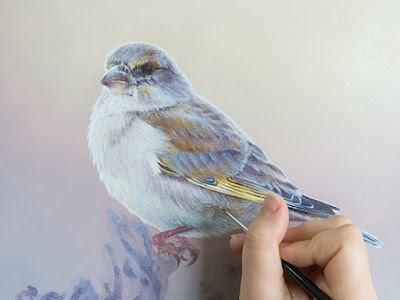 The Greenfinches painting is progressing nicely! I'm now getting towards the final stages of the painting. Here are a couple of shots of progress from the last few sessions. 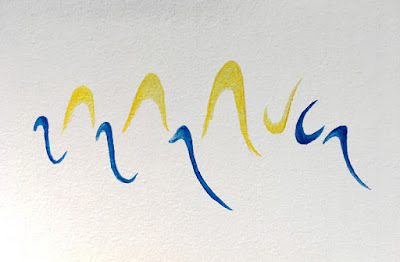 Here on the left everything is blocked in and I've started to add more layers to the birds. 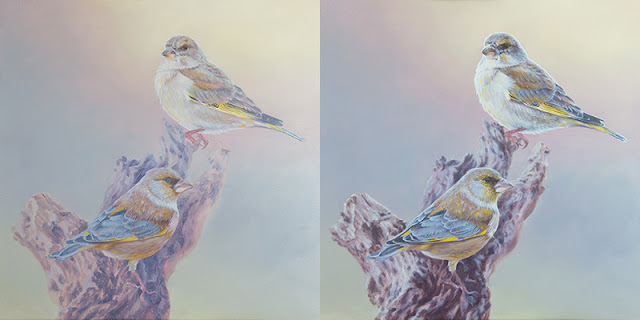 On the right, the detail and colour on the birds has been built up. What a difference it has made to them! The stump is also taking shape, with darks and lights established. Further detailing is needed on the stump, and some more glazes of colour will enhance and correct both the stump and the birds. The basis for the birds' colouring is there but just needs a little bump to show off the greenish-yellow hue of the plumage. I'm hoping to have this one complete very soon.